A new area of cosmology, a talk by Sir Roger Penrose. This is the subject for the physicist, mathematician and philosopher of science, famous for many achievements, in particular his work with Stephen Hawking. This talk focuses on recent ground-breaking observations of anomalous points in the very early universe that appear to be sources of vast amounts of energy. These could have been produced by black holes evaporating before the Big Bang. Sir Roger will explain how this is new evidence that our universe is just one stage in a potentially infinite cycle of cosmic extinction and rebirth. 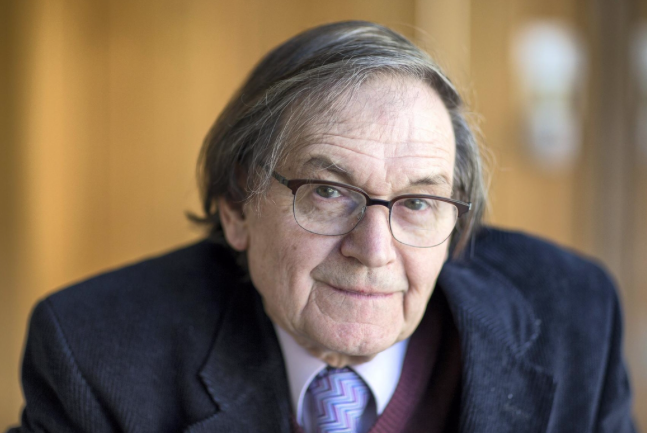 Sir Roger Penrose is widely acknowledged as one of the world’s top scientists for his contributions to the mathematical physics of general relativity and cosmology. He has received several prizes and awards, including the 1988 Wolf Prize for physics, which he shared with Stephen Hawking for the Penrose–Hawking singularity theorems. Organised by The Agile Rabbit.